Gas prices in South Central Ohio are eight cents less expensive this week at $2.581 per gallon, according to AAA East Central’s Gas Price Report. Motorists in seven Great Lakes and Central states are seeing some of the country’s largest month-over-month decreases when filling-up at the pump, including Ohio (-35 cents). The cheaper pump prices come as regional refinery maintenance season begins to wrap-up, and are in-line with the national trend. On the week, Ohio is one of four states in the region to land on the top 10 list of largest changes in the country (-12 cents). At $2.76, the national gas price average is at its cheapest in six months. 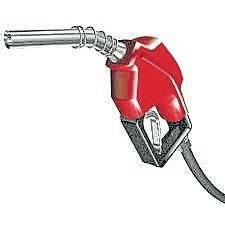 On the week, motorists in every state except Hawaii are paying as much as a nickel less to fill-up. Today’s national average is six cents less than a week ago,15-cents less than a month ago – but still 24-cents more than a year ago. This price drop is happening at a time that analysts previously thought prices would likely increases, as the White House’s re-imposes sanctions on Iran – some of which will target the country’s energy sector and impedes its ability to export oil. With the market anticipating and reacting to the pending Iran sanctions throughout the summer, motorists may have seen the worst in terms of retail prices for the year. If the crude oil market remains steady, gas prices are likely to continue to fall in the near-term, though any unforeseen factors could disrupt this trend and cause an upward shift in crude oil prices.